RJ&apos;s Licorice luscious licorice logs are for the moments when one bite just isn&apos;t enough. Grab one today, and go to your happy place. 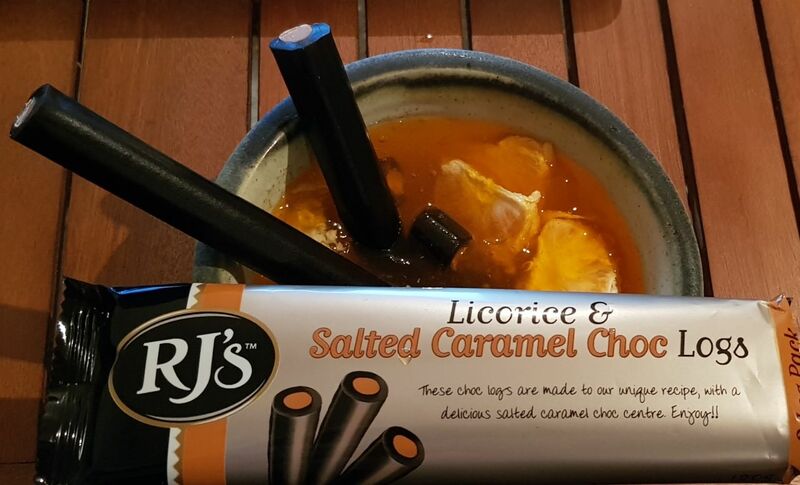 I am an avid RJ&apos;s fan so when I received my latest review parcel I was beyond excited to receive two RJ&apos;s products, including these licorice & salted caramel choc logs. I was a little hesitant to request these because I am not generally a salted caramel flavour, but you can&apos;t always stick to your normal - sometimes it is worth taking a leap of faith and trying something new! Open taking my first bite the black licorice flavour does come across as the strongest flavour in this product, however it is followed by a lovely, creaming, chocolately caramel flavour. I am unsure as to whether I can taste the salt in the "salted caramel" flavour, or whether it is just the saltiness of the black licorice, but it was pleasant. I don&apos;t generally like salted caramel as I don&apos;t enjoy the flavour of salt, but there are some products, such as black licorice, that I do like. As I was almost finished the third log (oops, how did that happen?!) I decided to peel back some of the licorice so that I could eat the centre by itself to see how it tasted. It had the standard RJ&apos;s chocolate log flavour to it, with a very subtle but lovely caramel flavour. Possibly it could do with having a stronger caramel flavour, but the product as it is now works very well, and even as a non-salted caramel fan, I would buy it again. I did have plans on finding some different ways to use this product but who was I kidding - the RJ&apos;s chocolate logs NEVER last long enough in my house to do anything with them! RJ&apos;s Salted Caramel Choc Triple Logs these went down so fast I do not know if I tasted all the goodness. Never been a salted caramel fan but I do think I have been converted. It wasn&apos;t really salty like I was expecting from the name. I did actually let my husband try half a log and he was highly impressed with the flavour like me. 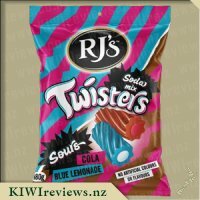 RJ&apos;s is a standard buy for us, so this flavour will now be another yummy treat added to our treat box. After nibbling away at the outer layer of licorice, I left the salted caramel exposed for last, and it was so worth it. I don&apos;t know why I have never brought this before, I have so been missing out. Not overly salty like I was expecting, was actually really nice. The licorice wasn&apos;t too overpowering like it can be. 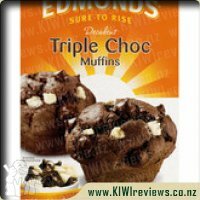 These are great value for a triple pack at $2.60 per triple pack, and like the fact that they are available at all supermarkets and not selected to just one or two. 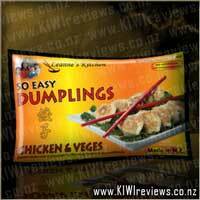 Great colour on the packet for different flavours to stand out. 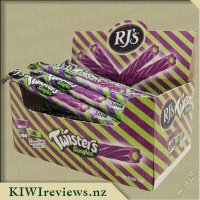 That is one thing I love about RJ&apos;s is they change their colour with the different flavour and it&apos;s easy to see. This is something I need to tell my father about as he is also a big licorice fan. Next triple pack won&apos;t be shared, it was way too good for that. Licorice is something that was a staple of my childhood thanks to my dad, epecially RJ&apos;s licorice allsorts but I haven&apos;t eaten any recently as I&apos;ve become hooked on Dutch licorice. 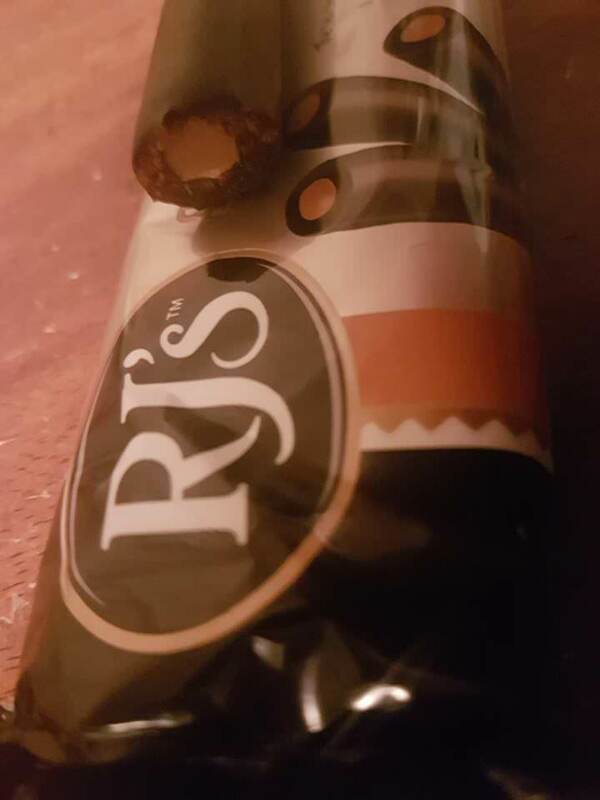 The packaging is the classic design that we&apos;ve all come to associate with the RJ&apos;s brand, in this case a lovely brown that matches the salted caramel centre encased in the wrapper. 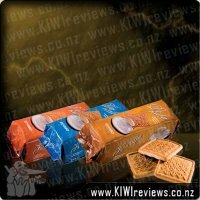 The back has all the nutritional information that you want along the the ingredients list which is well separated, so you can see exactly what is in the licorice on its own and the salted caramel fill on its own. 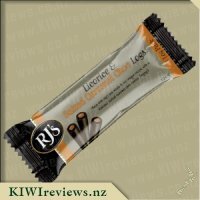 This packet comes with three good sized salted caramel choc logs and at $2.60 that works out to be roughly 86 cents each, which is an excellent price for this sized treat. I shared one with my kids and they all loved it which was a little surprising because my eldest doesn&apos;t like licorice at all, the kids enjoyed it enough to ask me for more but after my portion of one, I didn&apos;t want to share. I ended up eating the remaining two logs on my own, I loved that the licorice could be nibbled off and then I could let the caramel chocolate melt in my mouth, which was my favourite part of these. These were delicious and I can guarantee that I will be buying this for sure. 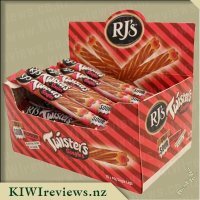 I love RJ&apos;s licorice logs and have been eating them for many years my favourite being the raspberry choc logs so I was excited to try this new flavour. Salted caramel has become very popular in recent years with so many new products becoming available and I have found myself quite fond of the combination between sweet and salty. I loved the taste of these the salted caramel chocolate worked so well with the bitterness of the licorice as while you get that bitterness the sweet chocolate filling counteracts it and the combination is perfect. With the salted caramel chocolate I probably wouldn&apos;t be able to eat a lot of it on its own as it is sweet so pairing with the licorice it makes it very easy to eat these and I would have no problem finishing off one of the sticks in a single sitting and be tempted to eat the other two!! 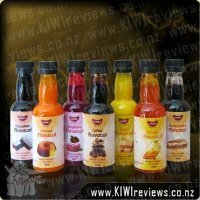 Unfortunately on this occasion I had to share with the family who always like to help taste test my review items. 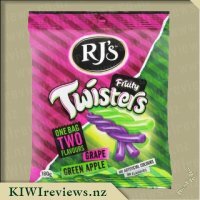 RJ&apos;s products are synonymous with quality to me, and when I opened up my KIWIreviews package and saw them I was instantly excited to try them - despite not being a huge black licorice fan. The idea of the salty sweet caramel and the full unmistakeable flavour of black licorice was very appealing. My kids also thought so upon seeing the package but I quickly squirreled it away onto the top shelf! 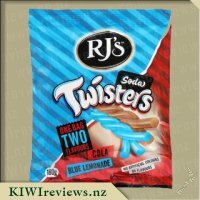 The packet is very appealing and easily shows what the product is - along with the very recognisable RJ&apos;s logo, so you know exactly what you are getting and how many are in the packet. The nutritional information is easily accessible and well set out - showing ingredients and also allergen warnings - always good to be aware of. 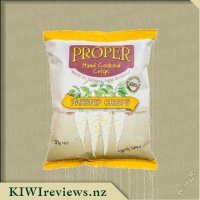 The packet is easy to open - and tears easily - but does pose a problem if you do not want to eat them all at once, my advice is to cut the top off rather than tear it. Biting into the first log I was nicely surprised that the licorice taste was not as overpowering as I expected. 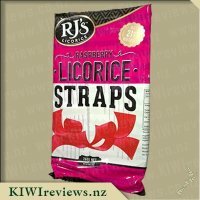 Having eaten a fair amount of licorice as a child (Mum was a HUGE fan) I expected a sharper taste and bite to it so was quietly pleased. The salted caramel has quite a sweet taste - but is absolutely perfect alongside the strong-ish taste of the licorice and it leaves a very nice aftertaste too. 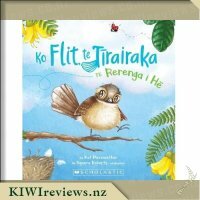 I have to say, I was really surprised to be honest, as I did not think I would enjoy it as much as I did!! 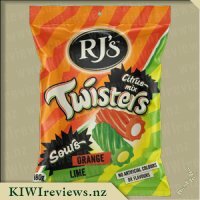 RJ&apos;s have done a great thing combining these two flavours together, in a way I had not really thought of before, nor seen. 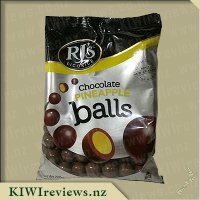 I am very glad I requested to try these and review them, as to be honest I probably would not have bought them otherwise. Having three logs in the packet also means I can try and limit my consumption and make them last longer than just one sitting. 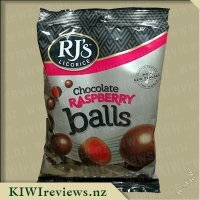 I will absolutely buy these again, for a change to chocolate based treats that we have often, and a really nice flavour change. I look forward to seeing if RJ&apos;s bring out some other unexpected and delicious pairings! I do not know anyone to have such a strong sweet tooth as my partner does, he loves his snacks, his lollies, his chips and everything really. He was excited about this product to review and was nearly ripping the packet open before I had a chance to look at it. I love the design and think it is simple and effective. 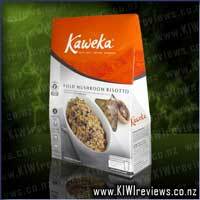 I thought it is great that there are 3 logs in the packet and for the price its great. For me there is 3 in my household old enough to eat the goodies, so we tried one each. I was wondering how the salted caramel would taste as I love caramel. 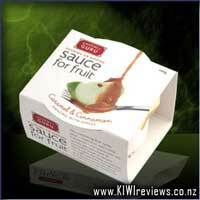 I found the product very yummy and thought the flavours went down well together. 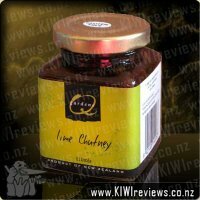 My partner really loved it as well and was gone before I knew it, he said he loved the flavours and wanted more. My 9 year old son really enjoyed it as well and said he would eat it again.I was surprised as I was not sure that my son would like licorice but he said it was good. He liked the textures of the two together and said it all worked in well together. 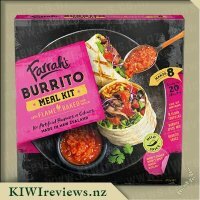 Overall a yummy product and I would recommend it to my friends and tell them how good it tastes. I will also be buying this product again in the shopping although it will not last long in the house with my partner and son. 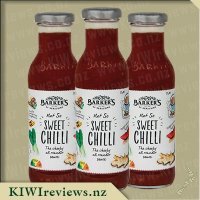 When the flavour salted caramel started to become popular I wasn&apos;t very interested as I just imagined that I wouldn&apos;t like the taste, as it is I do not like adding much salt to my meals. Finally however I became a lover of salted caramel after trying a rich chocolate and salted caramel cheesecake. 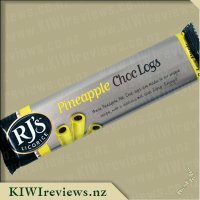 I am a proud supporter of RJ&apos;s and am never disappointed by their flavour combinations, however when I saw these Licorice and Salted Caramel Chocolate Logs available to review, I was skeptical at how well the flavours would be combined - would the licorice be too overpowering? Needless to say I requested to try the product to satisfy my curiosity. When the packet arrived I noticed that like all of RJ&apos;s packaging this one really stood out. The colouring on the packet worked very well together, and the fact the packet included three logs is very generous for the price of $2.60. Once I opened the top of the packet there was no mistaking the licorice aroma that greeted me. I pulled one of the logs out and broke some off for my partner and asked for his opinion, he said "yeah, it&apos;s alright." I took a bite and WOW what a great combination of flavours. My fears about the licorice being too strong were quickly put to rest. The softness of the licorice teamed with the harder salted caramel chocolate provides an exciting texture. The inner was just the right sweetness and I found myself craving more to eat, but refrained myself otherwise until my children were in bed. I have since chopped the remaining logs into bite sized pieces and put in a resealable bag for a quick &apos;pick me up&apos; snack in the car. I personally enjoyed this product and found it to be a real treat. I do believe that if you don&apos;t overly like licorice that you should give this a try, as the licorice isn&apos;t too overpowering. Well done to RJ&apos;s for creating another flavourful masterpiece. I have liked licorice for as long as I can remember and can honestly say it is one of my favourite sweet treats. We tend to keep licorice in the house most of the time as it is tasty and we use it for decorating cakes often by using the odd liquorice strips as outlining. 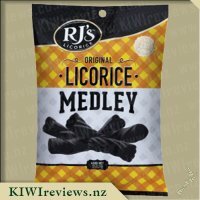 Now when it comes to RJ&apos;s licorice log&apos;s I have had a few of the different flavours and although I really like the taste I must say that isn&apos;t my favourite appeal to them. It&apos;s the satisfaction of biting into the soft licorice and then cracking through and breaking the solid inner chocolate that brings me the most joy. As far as taste goes though it is my favourite flavour of the RJ&apos;s log range that I have tried. There is something about salted caramel that just works so well and I believe it is the clashing taste of a savoury saltiness and sweet caramel that blend&apos;s perfect. The best thing about having the chocolate in the centre is that it doesn&apos;t get messy and leave melted chocolate on your hand&apos;s unless you have left it out for a long period of time. 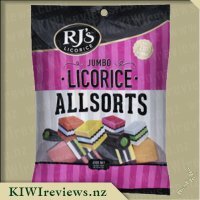 I was confused when I saw licorice written on the packaging as I have always believed it was to be spelt liquorice so I looked on the RJ&apos;s website and found it funny that the first thing I saw on their homepage was the statement "Liquorice or Licorice? The spelling doesn&apos;t matter. If it comes from RJ&apos;s Licorice, it&apos;s yummy!" and I couldn&apos;t agree more. 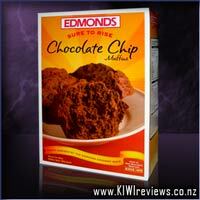 All in all, this is a very tasty product that I will endeavour to purchase more. When watching movies you just have to have something sweet to eat. Along with pizza and chips and dip I had put this aside to try after the food I had digested some. We got totally engrossed in the movie and I completely forgot about the licorice so when the credits were rolling up I pulled it out. After fighting with the wrapper and having two girls with their hands out I snapped one in half and gave them both it, I took one and my husband got the third log. The room went silent besides &apos;mmmmmm&apos; "I like this&apos; &apos;yummmm&apos;. Now, we are a family of licorice lovers. 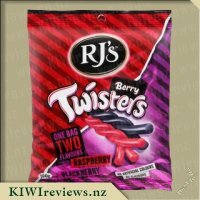 You will always find some sort of licorice in the fridge (currently its a packet of RJ&apos;s Raspberry Choc Twists). I got my love affair from my nana who passed it on to my parents and then it naturally trickled down to me, my brothers and cousins and now my girls. My nana always has a container of licorice in her house and whenever we go there its the first place we all head to. We love our licorice. So whenever there is a new flavour it is our duty to try it. I have only started to eat salted caramel after years of my husband begging me to try it - the idea actually scared me, so where as I love my licorice I was a little hesitant to try this. After hearing everyone else&apos;s reactions I took a small bite. Appearance wise it reminds me of the chocolate log and the only difference is the colour of brown in the center surrounded in licorice. It automatically shouts out caramel. Taking a first bite the familiarity of licorice hits you and then the caramel comes thru and I have to say it is divine. Before I know it we had all finished the logs and were all wanting to have more - 3 is not enough in a packet!! This is definitely a winner and something we will be having again. The caramel brings a nice flavour through and thankfully it is not that salted which was my initial concern. Even the packet with that caramel colour on the cover screams out to you. I actually like the caramel flavour over the raspberry which I find is very sweet. I also like the after taste of the caramel which lingers for a short time. 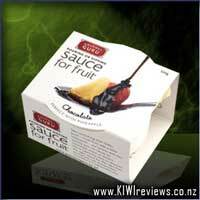 A flavour that you will be finding in my shopping trolley from now on. Licorice is such a versatile item - not only is it the perfect travel sweet as it does not melt all over the car (as chocolate does! ), but it is also so satisfying that you don&apos;t tend to overindulge. We were on our way to meet friends some 200 kilometres away, so I had offered to take responsibility for the dessert as I knew I would be able to organise that quickly and get some feedback on the licorice at the same time. I had purchased some ready-to-eat jelly and picked some mandarins from our tree earlier that day, so preparation was minimal. I divided the mandarin segments among the five plates, topped them with the orange jelly, and then added the licorice - a few small slices to each serving plus a couple of larger pieces for decoration. If you have never tried citrus and licorice together, you need to add it to your bucket list immediately as it is the ultimate taste sensation! After that experiment - which was unanimously approved - I divided up the last stick into small segments. I used some to decorate a lemon cheesecake but that fell flat. My greedy friends had finished it before I could so much as taste some myself, or get the camera out to take a photo! However, they assured me that it was even nicer than the jelly combination, so I will just have to believe them. I can confirm that there was not a single crumb remaining. I had set aside enough for us all to try the product on its own. It has an interesting appearance - one of my friends who is an electrician said it reminded him of when he is stripping a cable because the licorice casing completely encloses the inner cylinder of caramel. He carefully peeled the licorice off his piece so he could taste the caramel separately and was intrigued to find that both sections had their own distinctive tastes - although when he bit into them together there was a sophisticated fusion of both flavours. He said it would appeal to kids, but because it is not cloyingly sweet, it would appeal to adults as well. We liked the texture of the chewy outer layer as it contrasted well with the softer inner. In fact, we had already decided to see if we could track down some more so that we could check out some other ways of serving it. My cousin thought it would go well with lolly cake and similar very rich desserts as it would make the combination less sweet, and I would like to try it as a topping for an iced lemon biscuit, cut in cross section so the layers are on show. I am sure we will think of many ways to incorporate it in other recipes as well. Perfect for a wee sweet treat. 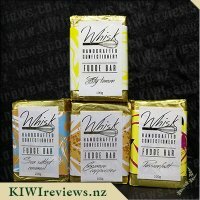 Each packet comes with 100g of Whisks Handcrafted Fudge.